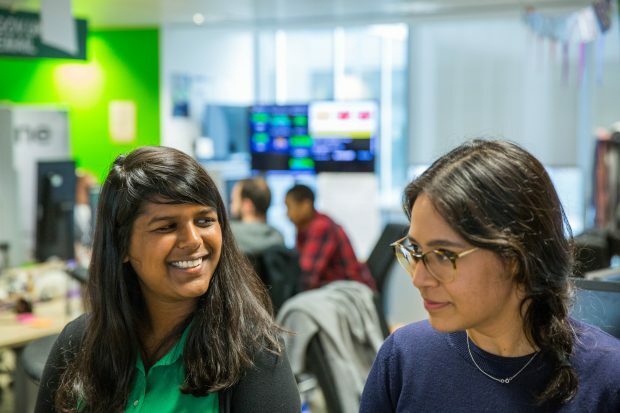 I’ve recently graduated from the Digital, Data and Technology (DDaT) Fast Stream a graduate programme that let me work on everything from building national infrastructure to user research. The scheme runs for four years and consists of six placements where you will design, build and run services used by millions of people each day. I’ve worked as a project manager building national infrastructure at the Home Office (HO), as a digital analyst on the flagship personal tax account service at Her Majesty's Revenue and Customs (HMRC), and user researcher at the Government Digital Service (GDS). The opportunity to experience a wide range of roles across different departments and policy areas was one of the key benefits of the DDaT Fast Stream. It helped me get used to rapidly skilling up and delivering value to a project in a very short space of time. Working across government also means you meet a huge number of talented civil servants. I’ve built a strong network of colleagues who I am still regularly in contact with and can (and do!) reach out to for advice. One of the great things about being a DDaT fast streamer is the learning and development (L&D) opportunities on offer. You can take part in a huge number of L&D activities from the Stepping Into Leadership programme, broader management and communications training, numerous specialist opportunities, including agile project management, learning code, digital analytics, user research and even a residential course at Cranfield University. In August this year, myself and other fast streamers attended the TechCrunch Disrupt SF conference in San Francisco as part of our final year. During the trip we also met up with the San Francisco Human Services Agency to gain an understanding of how technology is being used to improve public services in the city. The learnings from the visit will be incredibly valuable for my work in government. 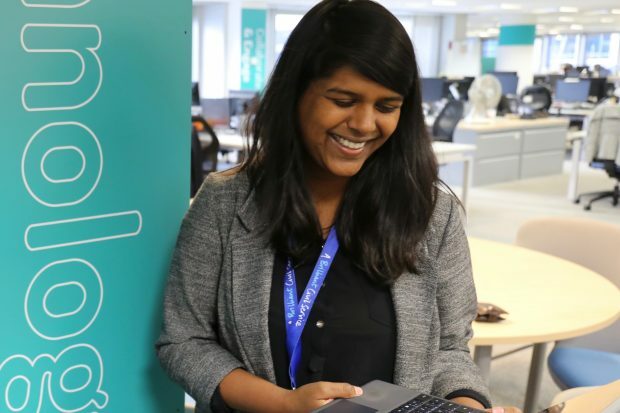 My personal Fast Stream highlight was taking part in the ‘Millennial Challenge', a joint initiative between the DDaT Fast Stream and IBM graduate scheme. We were placed in cross-organisational groups and asked to research and pitch ideas that applied new technologies to solve societal problems. I really enjoyed learning about the emerging technologies and the process of researching and developing a new idea. And, my team even managed to come second in the competition overall! During my Fast Stream journey, I was placed in two user research roles, where I discovered my passion for understanding user needs and championing them to help build better digital products and services. Having successfully completed the scheme, I managed to secure a full-time user research role at The Department for Work and Pensions (DWP) doing exactly this. I am currently working on data products to help make policy making easier. Alongside this, I work with the policy exploration team looking at how to better implement user research methodology into the policy making process. I look forward to continue putting into practice everything I’ve learned on the Fast Stream here at the DWP as I continue to develop my career in the Civil Service. My top tip to any new fast streamer would be to maximise the opportunities given to you. It’s very easy to get caught up with your day-to-day job, but make sure you make the time to take advantage of the opportunities and flexibility offered by the Fast Stream – before it’s too late! The Digital, Data and Technology Fast Stream is open for application until 25 October 2018. You can ask questions about the programme during the Twitter Q&A on 5 October from 12 to 1pm. Follow @DigiCareersGov for updates.